What makes you happy? REALLY happy. 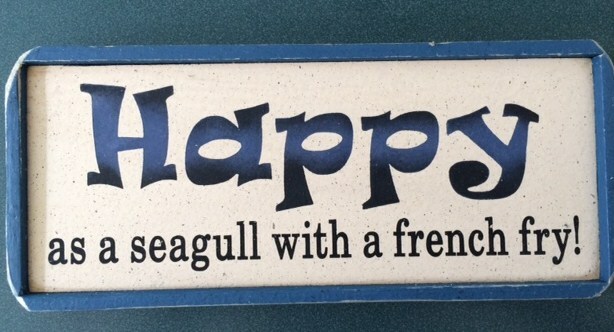 Happy with no regrets, just a pure sense of fulfillment…like a seagull with a french fry. You know that kind of happiness. It most likely comes from something very small. It’s right there, right now — you just need to notice it. Find that kind of happiness today! Categories: Happiness, Inspiration, positive thinking | Permalink.